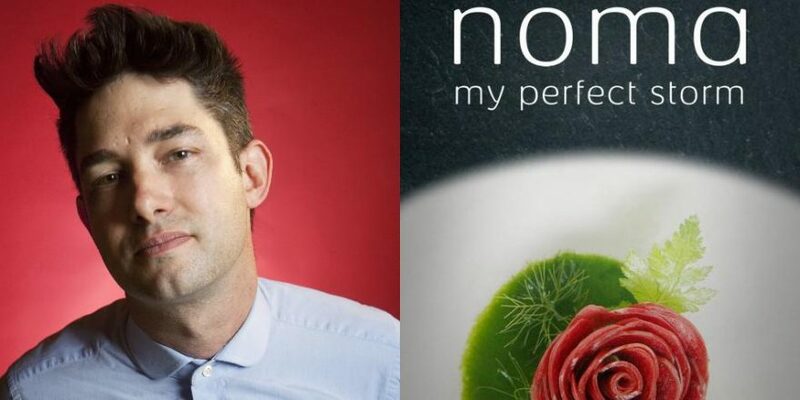 Cameron Yates on traveling the festival circuit with his film Chef Flynn, and his parallel trajectory with Sandi Tan's acclaimed documentary. 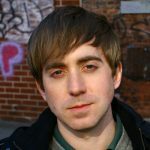 Cameron Yates is a filmmaker and curator. 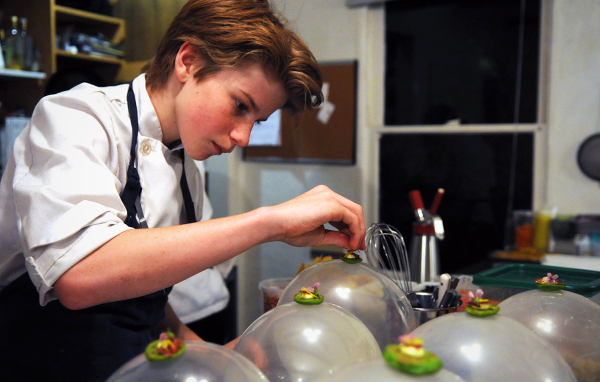 His latest feature, the documentary Chef Flynn, a portrait of culinary prodigy Flynn McGarry, premiered at the 2018 Sundance Film Festival and is currently in select theaters through Kino Lorber. His first film, 14 and Payrolled, a half-hour portrait of four teenagers working as pages for the Virginia House of Delegates, premiered on PBS in 2003. His first feature documentary, The Canal Street Madam, the story of a New Orleans madam who ran a brothel with her mother and daughter until she was busted by the FBI, world premiered at the 2010 SXSW Film Festival. 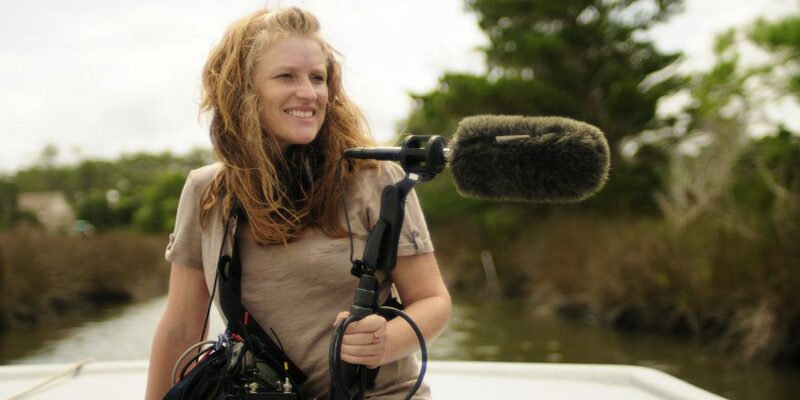 A former World Cinema and Documentary Programmer for the Hamptons International Film Festival, Yates has also worked with Albert Maysles, Zeitgeist Films, Sundance, NewFest LGBT Film Fest, and has been a contributor to IndieWire. As someone who was about to take my flight cancelation as a sign that I should stay home and play with the cats, I decided against shirking this one off and confirmed my flight to Wrocław to present our film, Chef Flynn. Romeo. Quebec. Whiskey. Echo. Shirker. Shirkers had been stalking me even before I received the phone call a year ago inviting Chef Flynn to premiere at Sundance. I’d been hearing whispers about an early ’90s Singaporean road movie that was never finished because a mysterious middle-aged man absconded with the teenage filmmakers’ footage. I was more than intrigued. 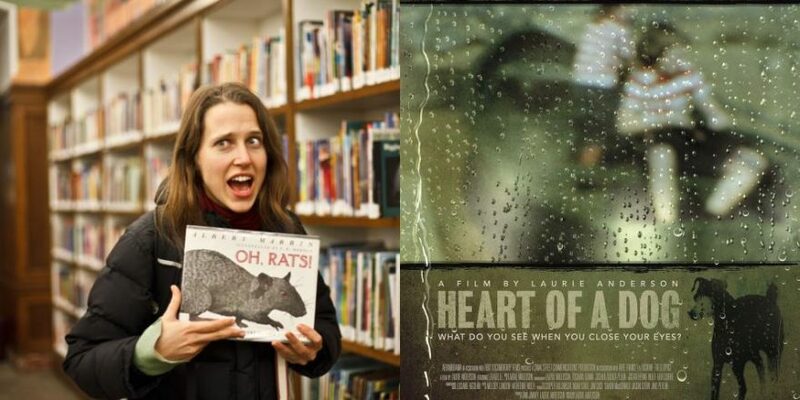 And then our producer Laura Coxson went to a rough-cut screening and came back saying, “You’re going to love this film, but I won’t tell you anything else before you see it.” Which is unusual for Laura. There’s only been one other time she’s dangled a secret in front of me and it still haunts me to this day. Fast forward to Thanksgiving eve and the phone call from Sundance that changed everything (at least for the past year), irrational outbursts between my husband and I over which photograph best represented the film – Flynn with a blowtorch (everyone loves fire) or Flynn plating miniature pea pancakes on balloons which slightly resemble breasts (thank you, Rebekah Maysles)? “Why don’t we have one decent photo of Flynn and his mother Meg together? 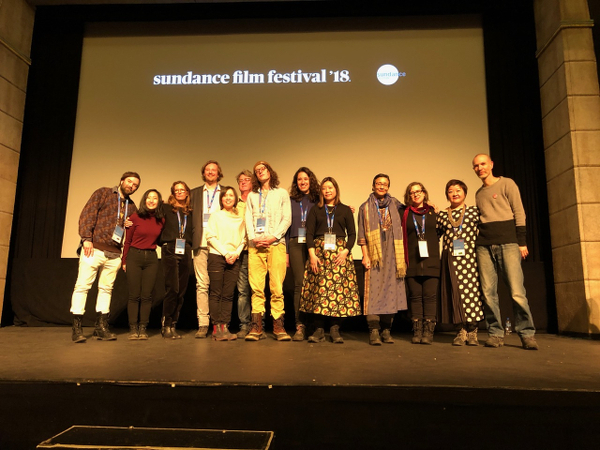 And why does Sundance eradicate everyone’s quality time with their families over the holiday through rejection or acceptance?” And then a week later, the long-awaited announcement of documentaries and, sure enough, Shirkers was on the list! 30x fast forward: I’m landing in Utah in the middle of January without a proper winter jacket or snow boots, but with a festival poster, postcards and stickers that our publicists didn’t authorize. The only thing that didn’t make it into my overstuffed bags were customized miniature Maldon sea-salt containers because we couldn’t figure out how to get Flynn’s face onto them. 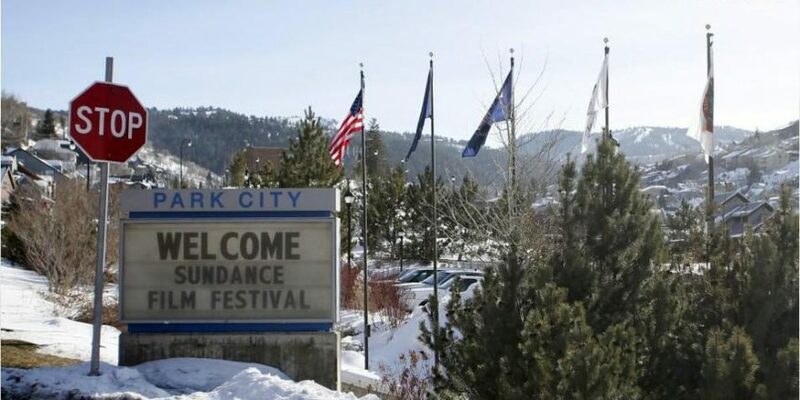 I wasn’t sure if I would have time to see any other films, between plastering Park City with foodie bait and cooking meals in the condo for our team, but somehow I managed to see two that opening weekend that left me spinning. One was the lyrical, stunning Hale County This Morning, This Evening, after which I was able to congratulate the director RaMell Ross in person. And the other was Shirkers. The Shirkers premiere was one of those otherworldly occasions at the Egyptian Theater that remain with you. Like my first time seeing All These Sleepless Nights and being transported to a beach rave outside Warsaw, or watching the Baltimore high-school step team perform after seeing them dance onscreen in Step. I sat in the front row and was hooked from the moment The Exploding Cat – a zine created by director Sandi Tan as a teen – appeared onscreen. And then I was taken on a joyride through decades, as the film reunites a trio of artistic collaborators – Sandi and her friends Jasmine Ng and Sophie Siddique – on a quest to find their disappeared footage from the ’90s and piece together what had actually happened that summer. After the film ended, Sandi, Jasmine and Sophie all came onstage and their dynamic offscreen was heightened not only by the enthusiasm of the audience’s response but also their shared exhale as their story was released into the world. I could have watched that Q&A for hours, but instead I fled. I don’t remember exactly why I shirked Sandi after her screening. Maybe I was too shy to say hello while she was being mobbed by admirers, maybe I had to run to let Flynn and his mother Meg, who had just arrived, into our condo. I’m not sure. Those few days leading up to our own premiere are hazy. 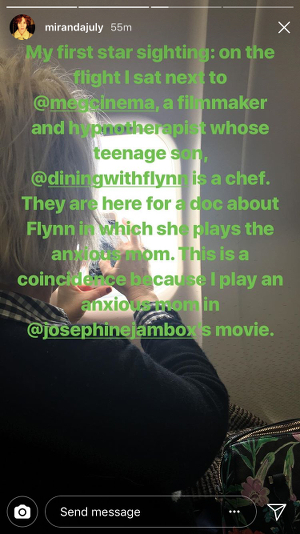 Miranda July posting a photo of Meg on her Instagram saying, “I just sat next to the mother of a prodigy chef on my flight who is also in film at Sundance!” And then running into Miranda and the Madeline’s Madeline team on every stop during our press day. A guy taking photos of us with little mirrors attached to his fingers that he kept flittering in the front of the lens. Apologizing to the theater manager at the Egyptian for being a little too rowdy during a midnight screening of The Little Hours the previous year. Brainstorming how to invite RBG and MIA to our party. Wooing guests with beet cocktails, an homage to Flynn’s signature Beet Wellington dish, although he couldn’t legally drink them anyways. I kept thinking I would run into Sandi again over the course of the festival, but it never happened. 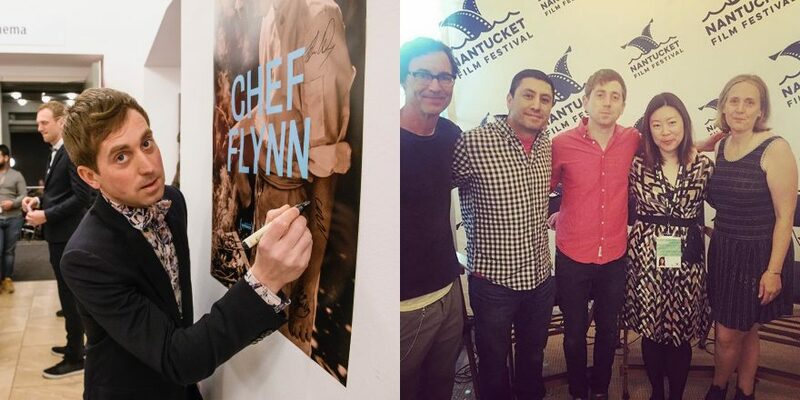 Chef Flynn and Shirkers were on the festival circuit together for a few months spanning Copenhagen, San Francisco, Toronto and Tel Aviv, but each time, I missed the chance to meet Sandi and congratulate her in person. 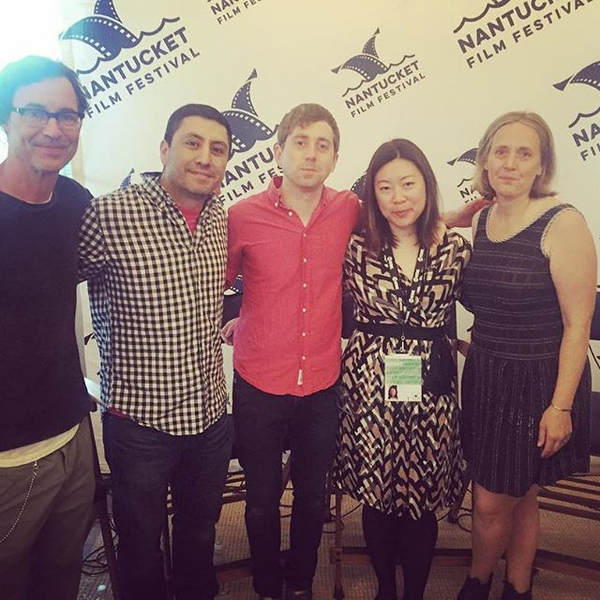 Until finally we were programmed on the same panel at the Nantucket Film Festival in June, along with Rudy Valdez of The Sentence, another one of my favorites from Sundance. It was an early morning filmmaker meet-and-greet, one where the panelists hadn’t had enough coffee but the audience was overstimulated. I finally got the chance to congratulate Sandi, while stuffing a mini croissant into my mouth and deciding whether to hydrate or caffeinate. Lord knows what I actually managed to say, but I’m sure there were plenty of superlatives. And although our initial meeting was a little awkward, it was mostly in front of an audience who were either gazing at our moderator Tom Cavanagh or in tears when Rudy was talking, so it distracted from the fact that I was gushing while Sandi was speaking about her escapades. Thus began our acquaintance, which led to an unofficial Shirkers / Chef Flynn book club being born. That is to say, Sandi was recommending and I was reading. After reading and falling in love with the couple in Exit West (thanks to a plug by Lisa Lucas of the National Book Foundation), I reached out to Sandi to share my excitement for the book. A novelist herself, Sandi responded I read that last year, it’s good, but have you read A Separation? And then how about Severance or The End of Eddy? Many others followed and my pile of summer reading grew. July passed by too quickly with heated debates about film trailers and theatrical posters and how best to position Chef Flynn in November up against The Grinch. But I escaped into Sandi’s books and discovered respite in our continued artistic exchanges. In an oddly similar manner, screening the documentary Kedi during our edit had brought together our film team (all hosts of Toxoplasma gondii ourselves), and I often daydreamed about running off to join the street cats of Istanbul, as August came to a close. 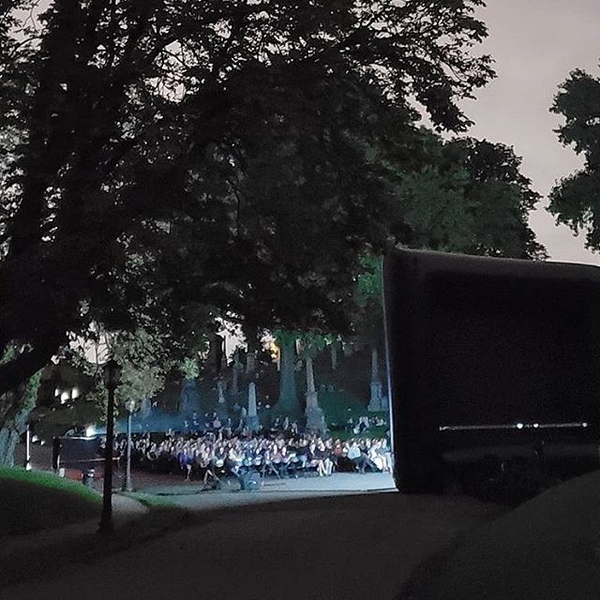 In September, Shirkers had its New York premiere at Green-Wood Cemetery, and my husband and I biked out to Sunset Park and found the audience under the trees and amongst the graves, entranced and gazing up at the screen. It was the perfect end of summer evening with a slight chill in the air, and Sandi had disappeared into the rows of tombs, nowhere to be found. Having stupidly shirked dinner, thinking that food trucks would be present in a cemetery, we also vanished into the night to find the closest slice of pizza. I’m not sure when I’ll see Sandi next, and I’m actually not sure if Sandi has even had a chance to see Chef Flynn yet, now that I come to think of it. 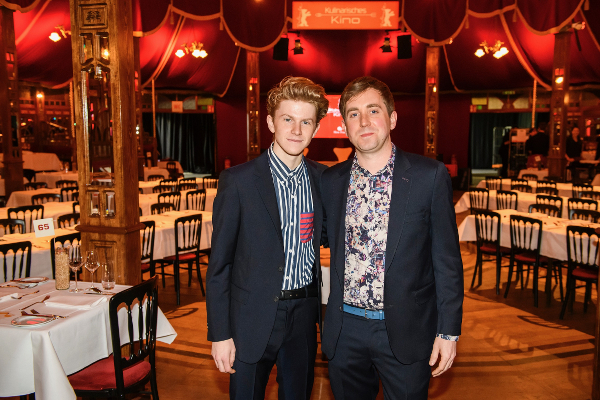 As other filmmakers who have traversed the festival circuit know, finding 90 minutes to sit still and focus can be difficult, even though we’re asking countless strangers to do exactly that. There are still so many new friends’ films that I need to see. Now that Chef Flynn is finally out in the world, I plan to catch up on sleep, finish all the books I’m halfway through, and apologize to everyone I’ve shirked for the past year.